Al Ain is the fourth largest city in the United Arab Emirates. It is about two hours east of Abu Dhabi. Due to its lush and vast greenery, Al Ain is famously known as the ‘Garden City’. Al Ain, which means “the spring” – is filled with oases, museums, gardens, amusement parks and world-class sports facilities. : The months of October to March are the best months to visit Al Ain. As the weather is at its best during this time, the city would witness a huge crowd. During the peak season, hotel rates also go up. So, to avail great offers and discounts and to book the hotel as per your choice, it is recommended to plan the trip well in advance and book the hotel to avoid any hassles at the last minute. : Price of the hotel depends majorly on the hotel location. Before booking a hotel, check how well it is connected to other areas and famous landmarks across the city. If you want a hotel at a cheaper rate then you can book a hotel slightly away from the city centre but if you want to avoid travelling, then you can book a hotel that is in close proximity with the famous tourist spots in Al Ain. 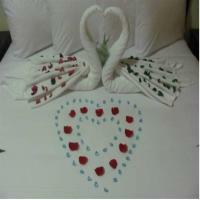 : Another major factor to consider while booking a hotel in Al Ain is budget. It is always advisable to first set the budget before planning any trip. Travel portal like Cleartrip offers a wide range of hotel options to choose from in Al Ain. One of the biggest advantages of booking through Cleartrip is that they offer pricing as one of the search criteria. One can easily find the hotel within the budget through this. : Before booking a hotel it is always advisable to check for their review online. Apart from online reviews, you can also check with people you know. Hotel reviews by visitors are mostly genuine and will give a better insight about the facilities and services offered by the hotel. 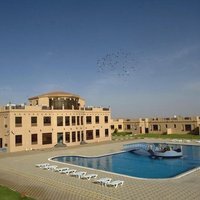 Hotels in/near Jebel Hafeet- Mercure Grand Jebel Hafeet Al Ain hotel and Green Mubazzarah Chalet are two of the hotels available at Jebel Hafeet in Al Ain. Both of these hotels can be booked online through Cleartrip. Hotels in/near Central, Al Ain-Some of the hotel options in this locality are City Seasons Hotel Al Ain, Ayla Hotel and Al Ain Rotana. 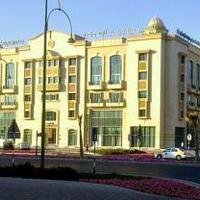 Sarooj District-Hilton Al Ain is one of the top hotel located in Sarooj District. How to reach Al Ain? By Air: Al Ain has its own International Airport called Al Ain International Airport but the best way to reach Al Ain is by taking flights to Dubai and Abu Dhabi. Dubai is at a distance of 100 km while Abu Dhabi is 140 km away and one can easily travel from these cities to Al Ain by car or bus. By Bus: One can easily reach Al Ain from Abu Dhabi and Dubai by bus or minibus. There are frequent buses running from these cities. There are also minibuses running between Sharjah and Al-Ain every 45 minutes. 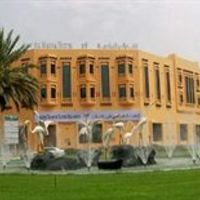 Booking hotels through Cleartrip is very convenient and would ensure that you get a hotel in Al Ain as per your preference at the best prices. Al Ain Zoo-The Al Ain Zoo, a 900 hectare park, is home to nearly 4000 animals. The zoo houses public spaces and playgrounds, a cafeteria and a train tour. Al Ain Safari and Sheikh Zayed Desert Learning Centre (SZDLC) are the main attractions of Al Ain Zoo. Al Jahili Fort- Al Jahili Fort is one of the UAE’s most historic buildings. 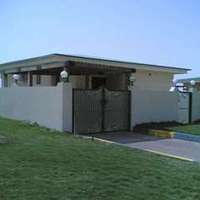 It is the former headquarters of the Oman Trucial Scouts and also served as the residence for the local governor. 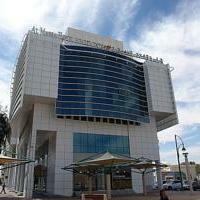 Al Ain National Museum- The museum is one of the main attractions of this city. Established in the year 1969, this is the oldest museum in the UAE. Al Ain Oasis- Located in the heart of the city, the Al Ain Oasis is UAE’s first UNESCO World Heritage site. This impressive oasis is spread over nearly 3,000 acres and contains more than 147,000 date palms. Al Ain Palace Museum- Located on the western edge of Al Ain Oasis, this Palace was built in 1937 and was later converted into a museum in 2001. Hili Fun City- It is the first theme park in Gulf and boasts 28 attractions, amphitheatre, picnic and play areas. Souq Al Qattara- This is a traditional handicrafts market that takes place every Thursday, Friday and Saturday from October to May in Al Ain. Jebel Hafeet- This is emirates highest and UAE’s second highest peak standing as tall as 1240 metres. Culture: Al Ain is considered as the cultural heartland of the Emirate as the culture is firmly rooted in Arabia's Islamic traditions. Language: Arabic is the official language but English is a widely spoken language in Al Ain. Food: Food of UAE is unique and has a rich taste. Traditional Emirati food consists of camel and goat meat, fish dishes, etc. Most of the dishes include spices like turmeric, saffron, cardamom, and cinnamon. Shopping: Al Ain has vibrant shopping in the form of Malls. Al Ain Mall is one of the biggest malls in Al Ain featuring an array of dining options and high street brands. Dubai- Al Ain is at a distance of 121 km from Dubai. Sharjah- Sharjah is 133 km away from Al Ain. Ajman- Al Ain is 135 km away from Ajman. Abu Dhabi- Al Ain is 143 km away from Abu Dhabi. Ras Al Khaimah - Distance between Al Ain and Ras al-Khaimah is 178 km. The weather in Al Ain is much better when compared to the other Emirates. In Al Ain, the summers are long and hot while winters are short, comfortable and mostly clear. The average temperature in Al Ain is 27.8 °C. The best time to visit Al Ain is between the months of October to March when the weather remains cool and pleasant. The best time to visit Al Ain is between October and March. The weather is pleasant making it ideal for sightseeing and exploring the city. Due to the peak season, hotel rates can go up. So to avoid last minute booking, ensure that that you book the hotel of your choice well in advance to get the best rates. The worst months to visit Al Ain are between the months of June and August, as it is the peak of summer and extremely hot. Even though hotel bookings are cheap, but it is certainly not advisable to visit Al Ain during this time due to the hot weather. Al Ain Music Festival- Al Ain Music festival is a highly enjoyable and successful community-based music festival across the oases of Al Ain. Eid Al Adha Festival- This festival will showcase all the local and international products ranging from clothes, watches, accessories, perfumes, beauty cosmetics, etc. Zoolightful Festival- This is a unique light show that takes places in the Al Ain Zoo where people can enjoy illuminated displays of animals and plants including reptiles, lions, birds, plants and flowers. Dar Al Zain Festival- This is a 10-day long event organised by Abu Dhabi’s Department of Culture and Tourism. The festival involves retail stalls, kiosks and trucks serving food, interactive and educational shows for children and performances by regional bands.